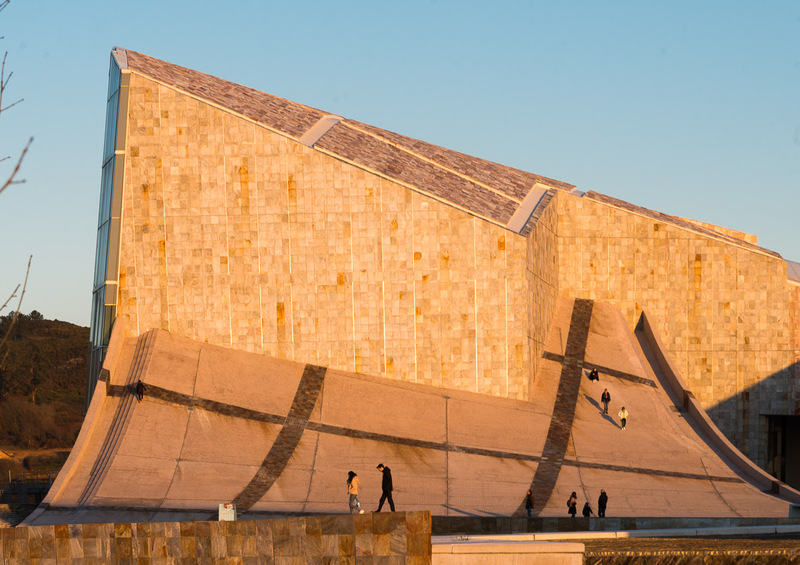 If you are currently planning what to do on your visit to Santiago de Compostela, there is one place to visit that's a must: the Galicia City of Culture. The complex designed by Peter Eisenman is one of the most striking examples of contemporary architecture. But that's not all. 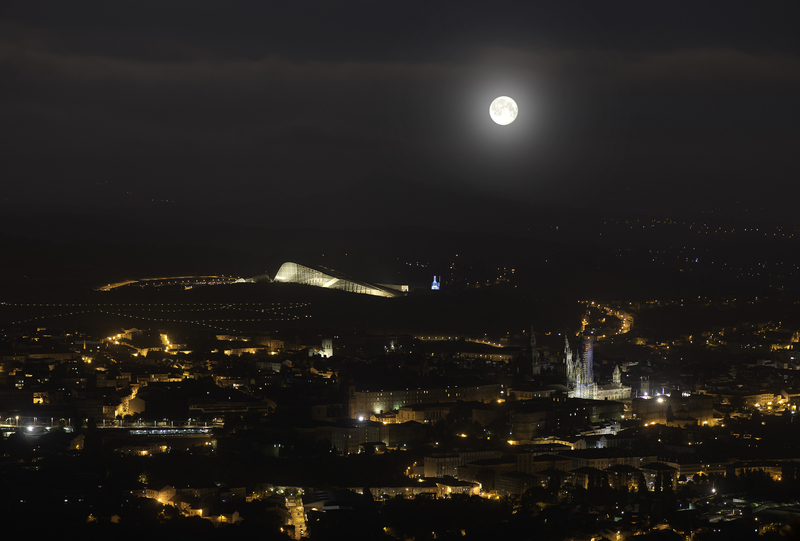 Art, culture, nature and gastronomy come together at the top of Mount Gaiás. To make sure you don't miss a thing, here is a short guide to enjoy all the possibilities the City of Culture has to offer. Book ball. An enormous ball full of books welcomes visitors to the City of Culture. The name of the piece is Singularidad (Singularity), by the renowned visual artist Alicia Martín. Although it was originally installed as a temporary piece, it is now a symbol and a must-have photo for anyone who comes to Gaiás. Model of Gaiás. Next to the 'book ball', the Eisenman Room invites us to discover the projects designed for the City of Culture, with models, plans and explanations by architects such as Jean Nouvel, Rem Koolhass, Ricardo Bofill, Manuel Gallego Jorreto and, of course, Peter Eisenman. 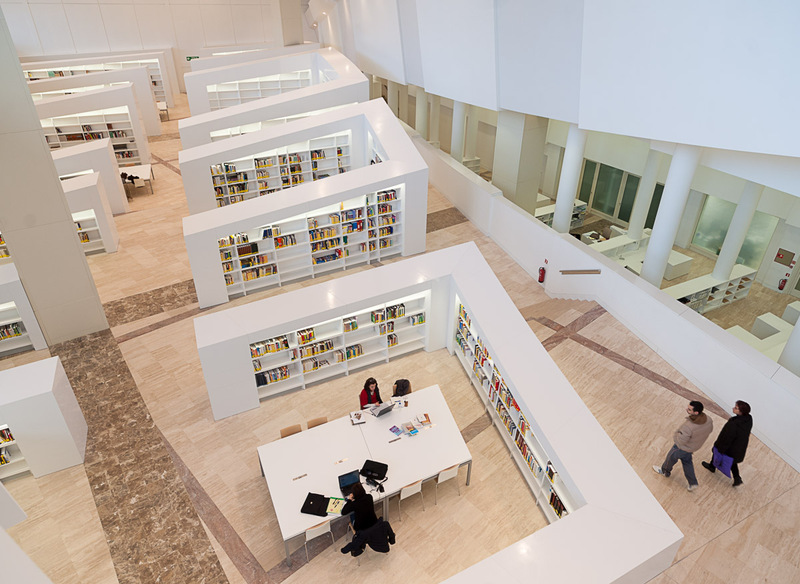 Library and Archive of Galicia. It is time to enter the Library and Archive of Galicia building. As well as visiting its incredible reading room, you can make the most and visit some of the temporary exhibitions presented with own funds of the institutions it houses. Discover the Hejduk Towers. The Hejduk Towers are a must see. These are the first pieces to be erected in the City of Culture and the only ones that were not designed by Eisenman, but by the architect John Hejduk, who conceived them as botanical towers for Belvís Park. It currently hosts contemporary artistic interventions such as La línea Hejduk (the Hejduk line), an installation by Irma Álvarez-Laviada that you can visit until August. Touching the sky in the central square. You cannot leave the City of Culture without trying to 'climb' the ramp up the Library and Archive of Galicia building, which you can access from the large central square. It's like touching the sky. But be very careful when you climb down. A well-deserved rest at the Canteen. Are you tired? Do you need a coffee? Or something to eat? The Canteen at the City of Culture is the ideal place to take a break. The Canteen has won two awards at the prestigious Restaurant & Bar Design awards, recognising the best-designed restaurant in the world, and it offers a café service all day long, plus a short food menu and a full menu of the day. A literary walk. 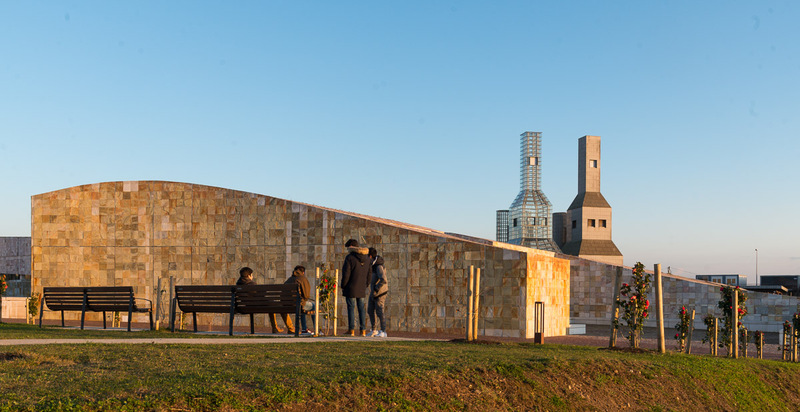 When you've got your strength back, go to the heart of the City of Culture and enjoy a walk through the Literary Garden, a green space dedicated to Galician writers and poets. Paths running through verses by Pondal or Cunqueiro, beautiful views over Compostela and a small lake. From the Tree to the Chair visit. The City of Culture is the perfect place to enjoy culture and art. 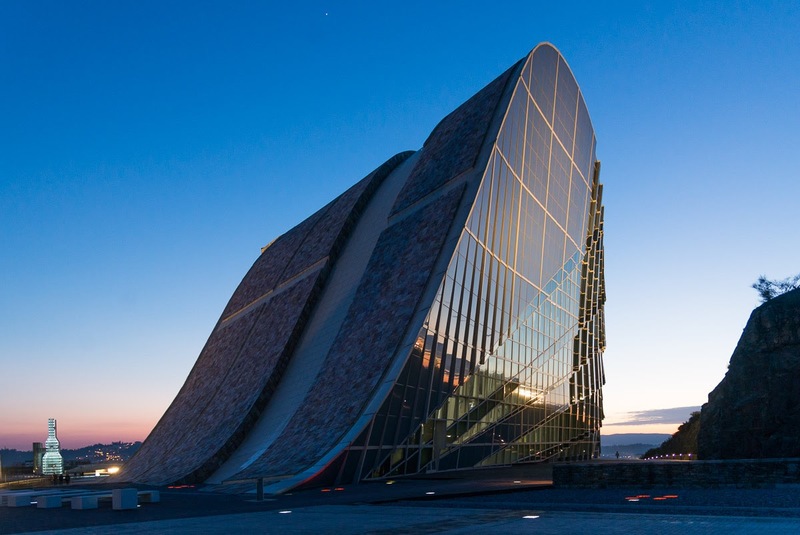 And for that, nothing better than the Gaiás Centre Museum, with its spectacular façade and its height of 43 metres. 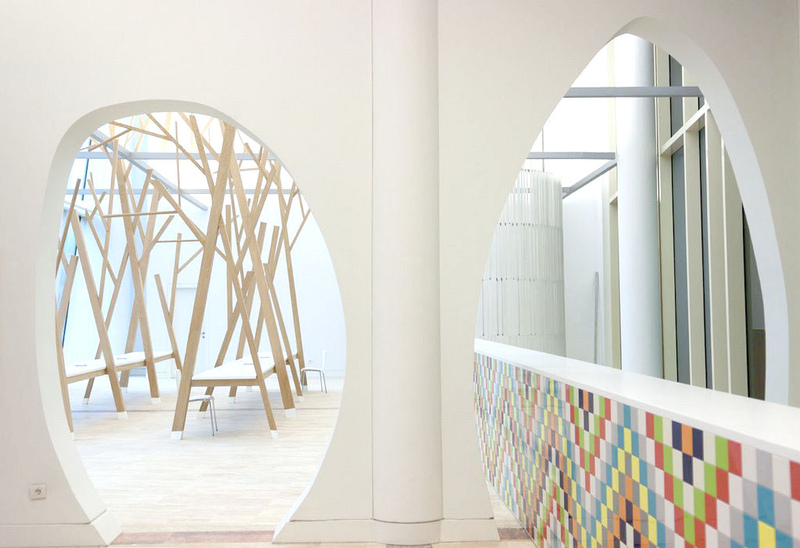 Gaiás centre for artistic life, until November it hosts the free exhibition Del árbol a la silla (From the Tree to the Chair), an emotional journey through the forests to our homes, focusing on enhancing natural heritage and contemporary design. And if you don't want to miss a thing, every day at 5 p.m. you can attend a free guided tour of the exhibition. Rest in the Lake Park. Before you think about leaving, the City of Culture still has one last surprise: the Lake Park. A large green area with a network of footpaths, a lake covering 4,783 square metres surrounded by vegetation and a wooden platform at the edge equipped with rest areas. Descent through the Forest of Galicia. 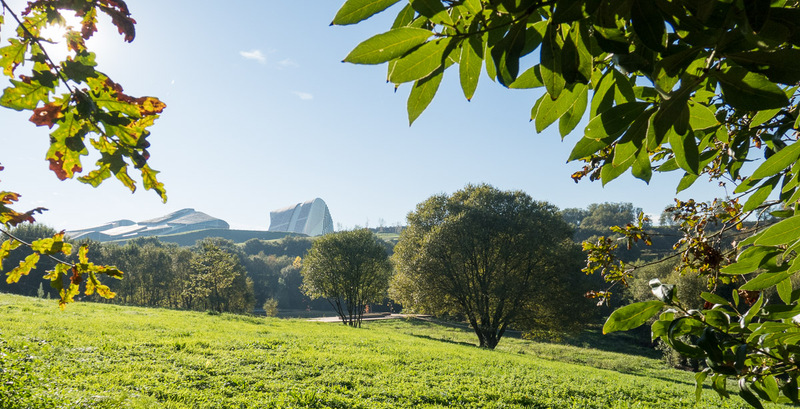 If you still have the strength, the perfect way to leave the City of Culture is along the footpaths of the Forest of Galicia, Compostela's new green lung, 24 hectares with seven thousand trees of native species.